The grounds outside the Toolshed hold many interesting exhibits including restored fire engines, Model T Ford Trucks, and tractors under the Pole Barn. 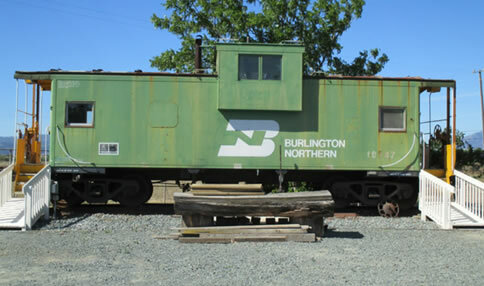 A caboose which brings back the history of the importance of the railroad to our area for establishing towns and transporting crops. 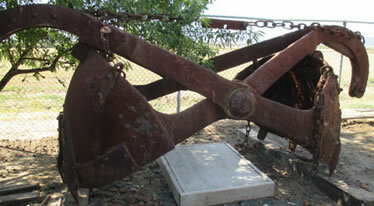 A clamshell dredger reminds us of the building of the canals to transition East Contra Costa from dry wheat farming to irrigated crops by harnessing the water from the nearby rivers.